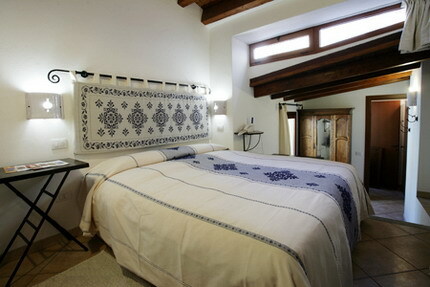 Il Giardino Segreto offers a charming welcome with its rooms furnished with the typical Sardinian furnishing including textiles weaved with traditional looms, ceramics. Included Services: Reception, Reception H24, Children Bed, Air Conditioning, Heating, Internet Point, Internet Wifi, Newspapers and Magazines, No smoking, Shuttle Service, Multilingual Staff, Tourist Office, City Maps, Booking Service, Excursions, Alarm Service, Car Rental, Moto Rental, Bike Rental, Sporting Equipment Rentals, Boats Rental, Luggage Storage, Sporting Equipment Storage, Pets NOT Allowed, Breakfast Room, Fridge use, Room Service, Fax Service, Baby Parking, Baby sitting. Located in the heart of the city, is within walking distance: the hospital, post office, banks, bars, shops, craft shops and typical restaurants in Cagliari. The Secret Garden is located 200 meters from the marina and the railway station and two kilometers from beaches. The main means of transportation (taxi, bus) with which you can get to every part of the city, are on the front of Piazza Yenne, within walking distance in one minute.